The elaborate etchings on the hilt and blades of this three dagger set could only belong to one whose skill has earned them rank and wealth. 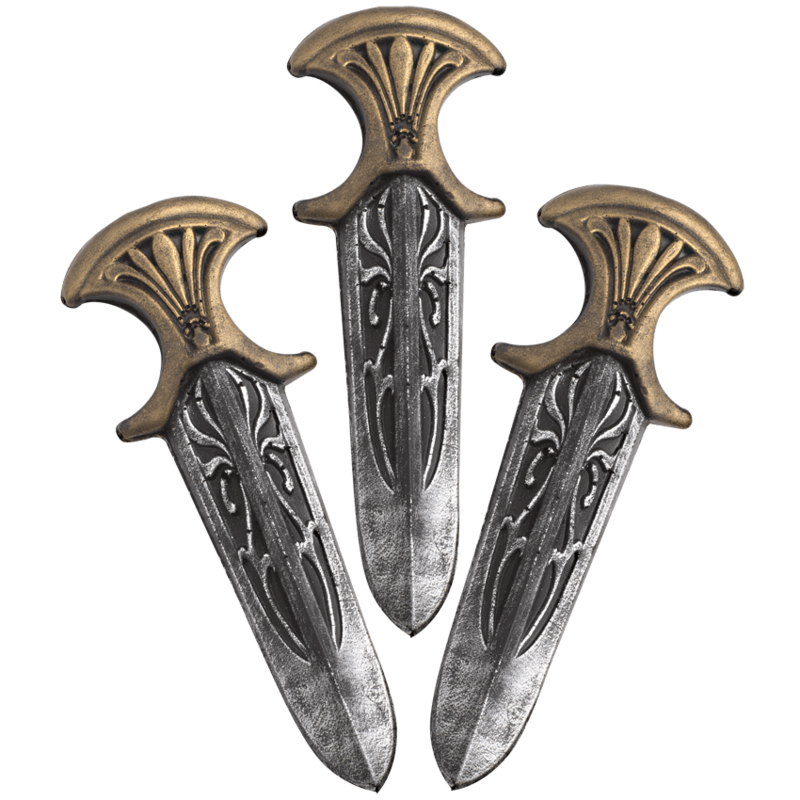 The Assassin Inquisitor Throwing Knives are sure to acquire the information that you desire. 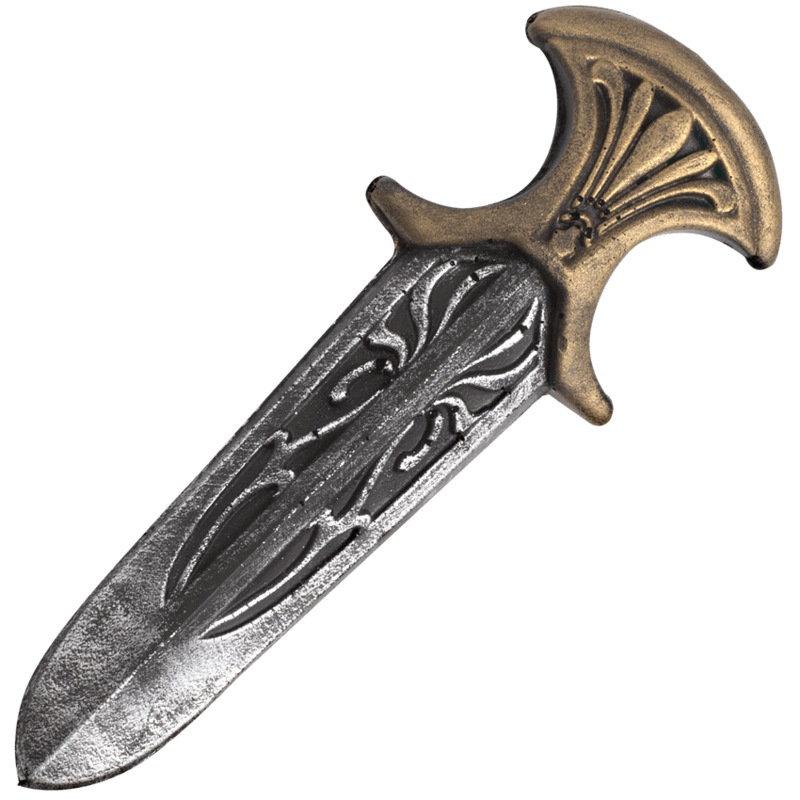 The gold-colored hilt features a flared pommel and guard, and an elegant medieval pattern decorates the grip. A stunning design trails the central ridge of the spear point blade. This collection of three throwing knives belongs to those clever character that enjoy terrifying the truth out of the enemy.